These lists are ultra-important for all my Amazon-Primer ladies out there. You know who you are. Just kidding. 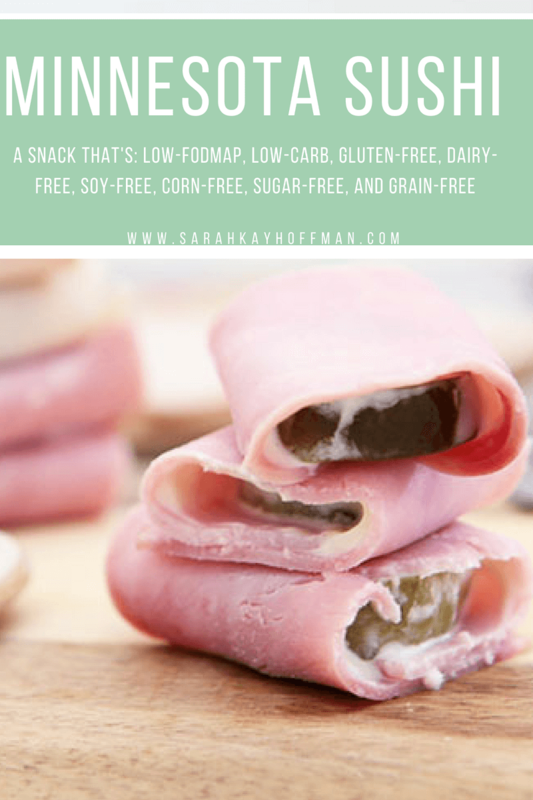 It’s all of you; and if you don’t yet know the magic of Amazon Prime, you better get to know it today because I have 14 Low FODMAP snacks you can buy on Amazon. A couple weeks back, my fridge looked pathetic and the kids wanted a snack before we headed out. I opened the door and found some lunch meat, mayo, and a few pickles. I remembered a little snack (also an appetizer) I’ve had several times over the years. 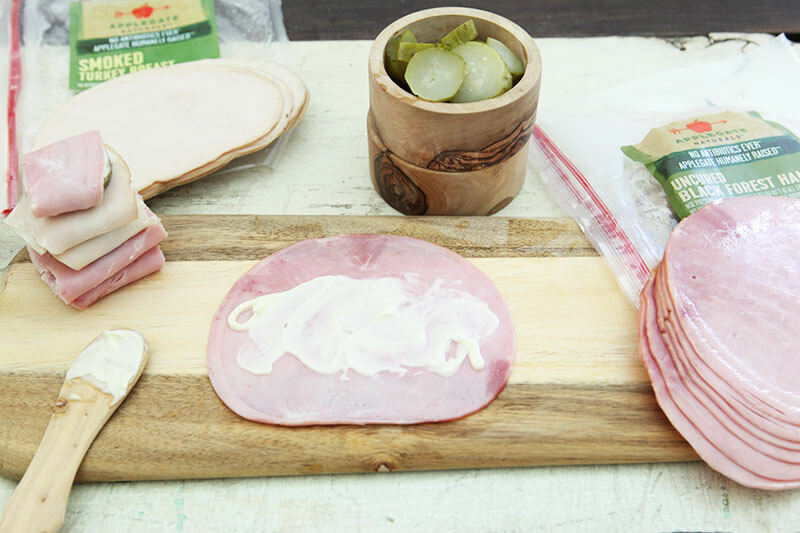 You take that lunch meat, spread cream cheese over it, and insert pickles. 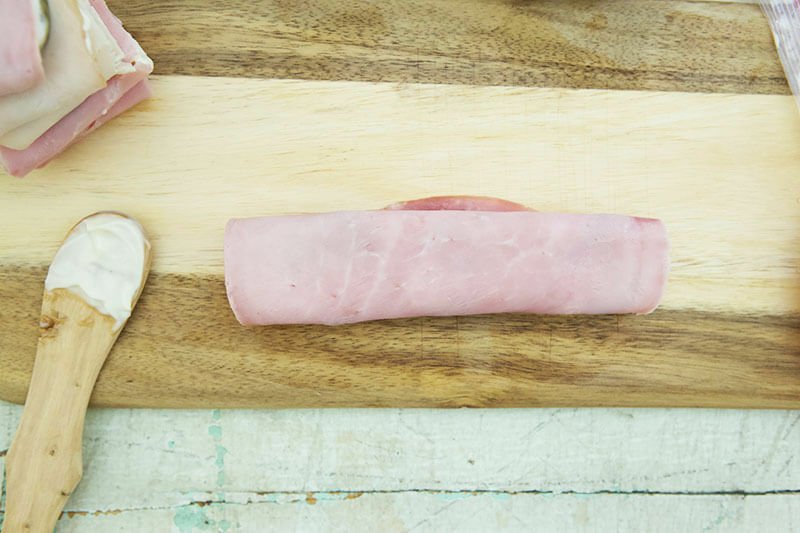 Then you roll it up, and bam – you have a snack. Well we rarely eat cream cheese because of the dairy factor (although, on my list is to get some Miyoko’s and/or make my own) so that wasn’t an option. The mayo was an option. I swapped in the mayo for the cream cheese, and delivered to the children (and myself). Yes, it’s called Minnesota Sushi. I literally spit my water out because I was laughing so hard. In all these years, I had never heard that term. Google it, though, and you’ll see. It’s also commonly referred to as “the pickle roll-up.” That makes sense, and isn’t that funny, but Minnesota Sushi? Classic. Here’s the deal, after living on the West coast for 11 years, I wasn’t afraid to admit (once I had been back to Minnesota a couple months) that I had been living in the California Bubble. Before moving out West, I never ate Sushi. I didn’t even really know what it was. Out there, though, it could have been a 5th food group for us. We had access to everything. And it’s funny using those comments and the two different Sushi’s as metaphors for both. I couldn’t care less about all the upscale, delish Sushi in the world at this point (by the way, go to Minneapolis and you’ll find Sushi that rivals Sushi found in California). Nope. I’m totally cool being basic – killin’ it with this Minnesota Sushi. 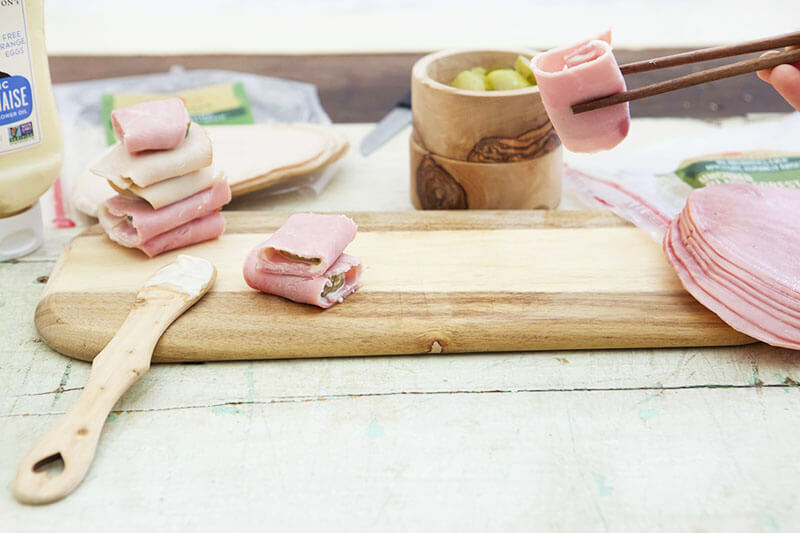 Even though I’m all about the Minnesota Sushi, I’m still not interested in just buying any old lunch meat and mayo. Applegate – Found at Hy Vee (in Owatonna, Mankato, and Shakopee). They have been on sale lately for $3.99 a pack, so I will buy like 5 or more, and freeze what we won’t use in a week. Sir Kensington’s – Found at Walmart in Waseca. Yes, it’s true. Just go where the mayo is. I continue to do the best with what we have in a 30-mile radius. There is no recipe for these little delights. It’s so simple. 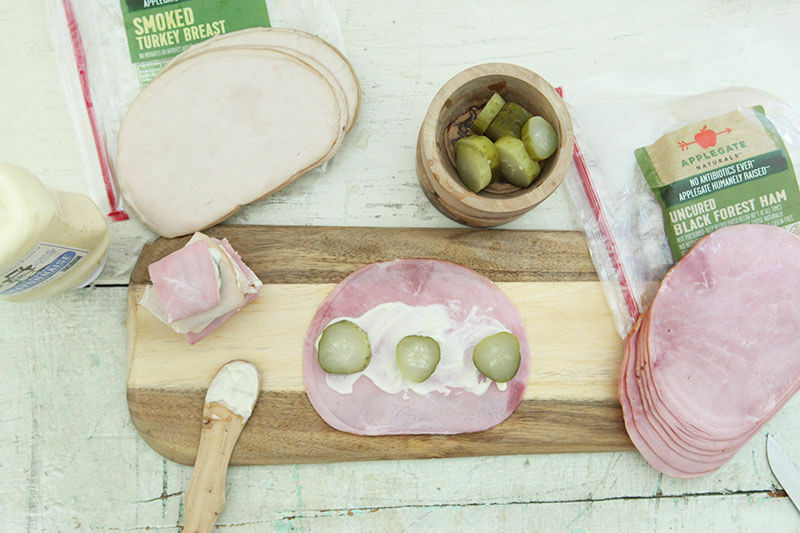 Lay out your ham or turkey, coat with mayo, place little pickles inside, roll up, cut, and enjoy. Now listen, you know you want to make these ASAP. If you are Gutsy like me, know that they are: low-FODMAP, low-carb, gluten-free, dairy-free, soy-free, corn-free, sugar-free, and grain-free. They are Paleo-ish (the Mayo is where the -ish part comes in for me). The Mayo has egg in it, so they are not egg free. If you don’t want egg, you could sub in Just Mayo (It’s also found at Walmart, but I don’t like the ingredient list as much in that one, way too many ingredients). 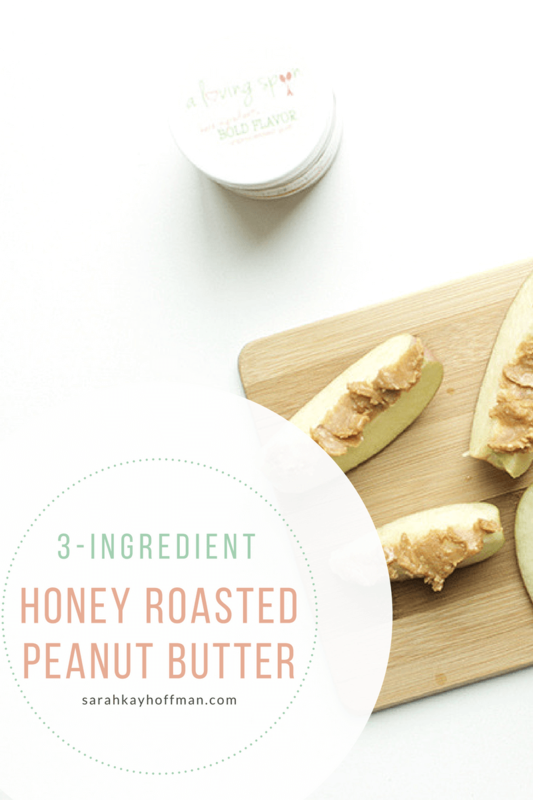 I hope you love this little snack idea. Serve it at your next party, no matter where you live. Even if you get a silent eye roll or two, they will be gone because they are so d#$% good. 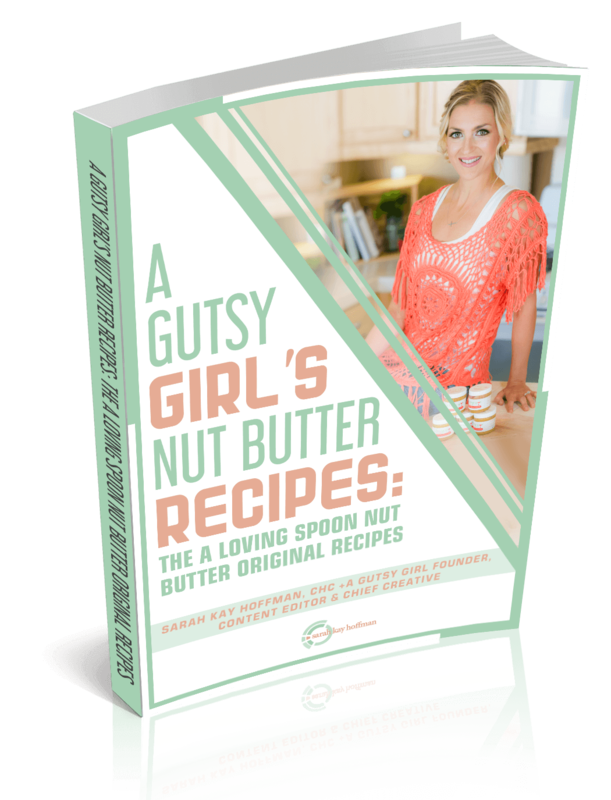 Today I’m giving my Honey Roasted Peanut Butter recipe to help celebrate the official launch of my brand new e-book, A Gutsy Girl’s Nut Butter Recipes: The A Loving Spoon nut butter original recipes. I have already been asked if I’ll release my recipes. The answer is that I am not sure, but what I am confident about is that even if I gave the recipe for my Honey Vanilla Bourbon Peanut Butter, one could not recreate it without my vanilla source. I searched high and low for the best, and then I found it, and it changed the product. When it comes to the 3 flavors, I plan to keep them tight to the vest until I understand more about the best interest for them. I kept them tight to the vest until I understood their best interest, as I said I would do. In the end, I decided that their best interest was to share them with as many people as possible so that their gifts of bare ingredients, bold flavor, and unprocessed guilt could be enjoyed forever. I am an entrepreneur at heart, so the options are endless, but I know, deep down, that I will never own another nut butter company. I pray that you love these recipes and that you’ll make them time-and-time again for yourself, your family, friends, co-workers, anyone who needs a little extra dessert. Click HERE to get your copy of the recipes now. 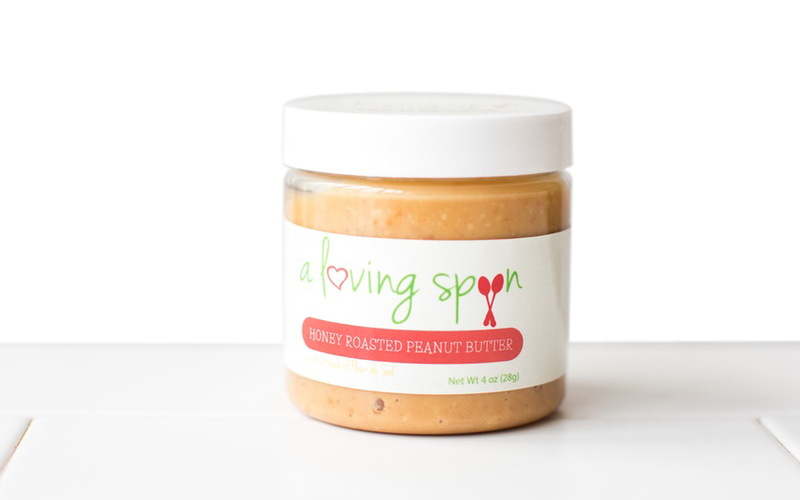 The original Honey Roasted Peanut Butter with a touch of Fleur de Sel recipe from A Loving Spoon nut butters. Place peanuts in a food processor. Blend until creamy. Add the honey, and blend until completely mixed together. Finally, toss in the Fleur de Sel, and blend for about 10 seconds until blended. Remove finished product, and place in a glass jar. This is my most basic recipe. Once you purchase the e-book, you will have full access to all ingredient sources uses (which is the true secret sauce to these recipes). The FODMAP diet for travel is hard. I learned this while I was researching hundreds of products for my Travel and Convenience Snack Guide. 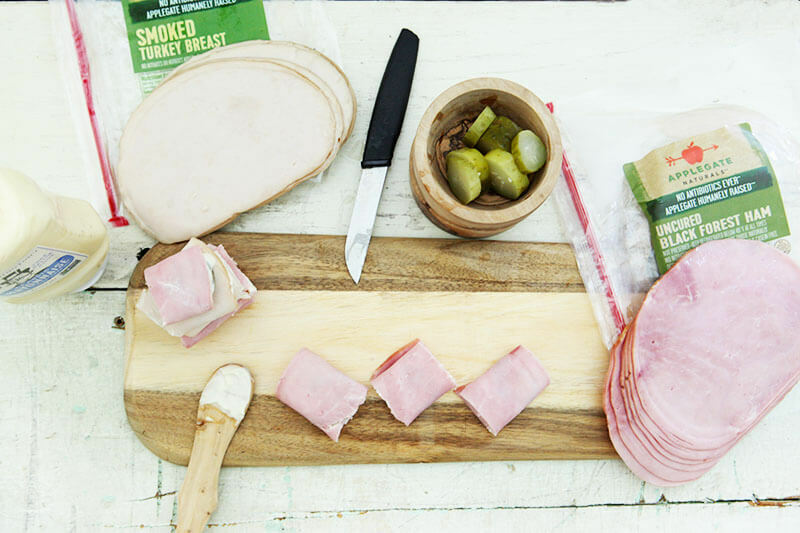 Summer is looming…..and so are the snacks, obviously. 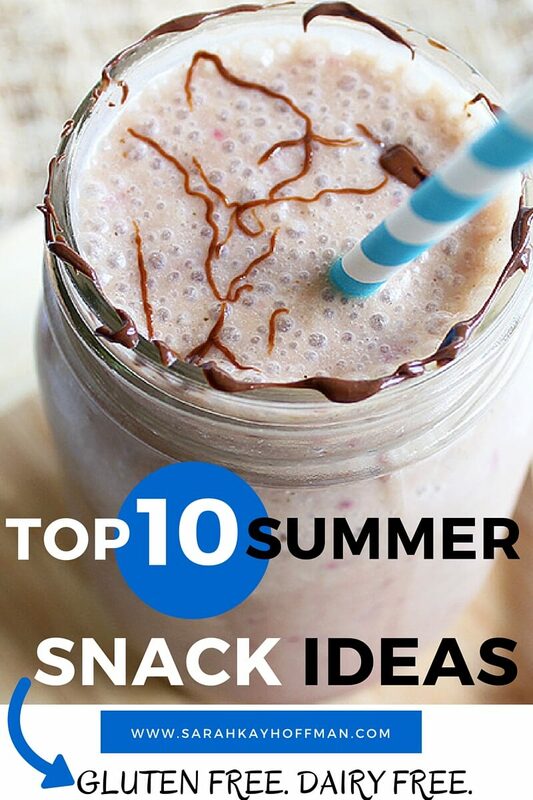 So today, I have my top 10 summer snack ideas to share with you. 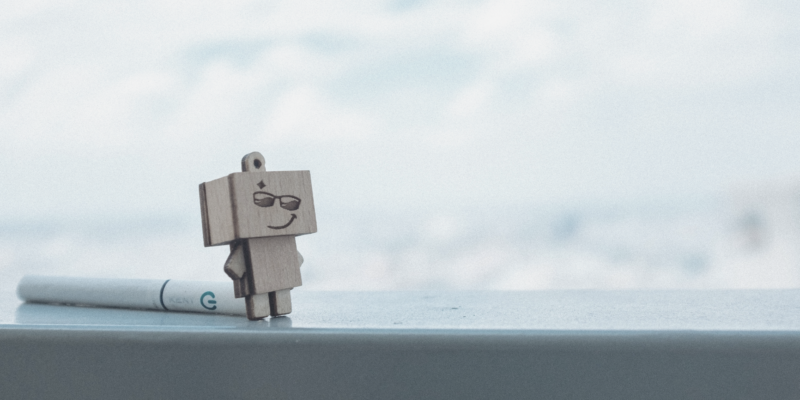 During the summer, some are busier than any other time of the year and the rest of us have more free time for cooking, baking and creating snacks. 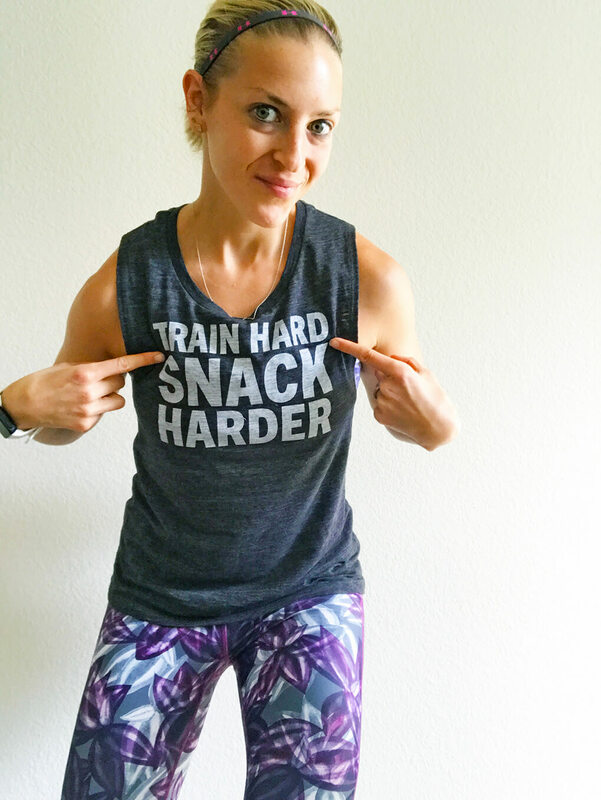 I’m giving you a blend of pre-packaged, on-the-go ideas and things you can make on your own so that you can choose whatever works best for you. Click HERE to save this post to Pinterest. 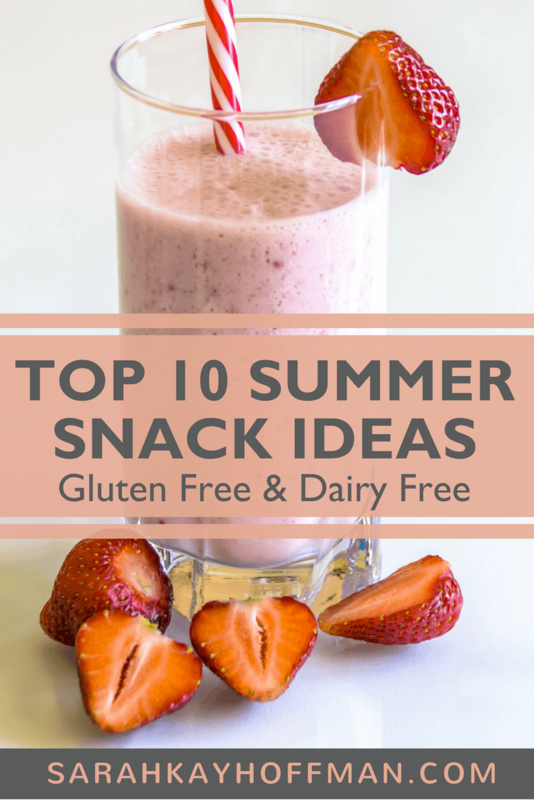 Most of the pre-packaged items on the top 10 summer snack ideas list can be found in my free Travel and Convenience Snack Guide Companion, which hosts almost 200 products that I have broken down for you into categories like gluten free, dairy free, Paleo, Vegan, Organic, SCD, AIP etc. (+ have also included total grams of sugar and total net carb counts). 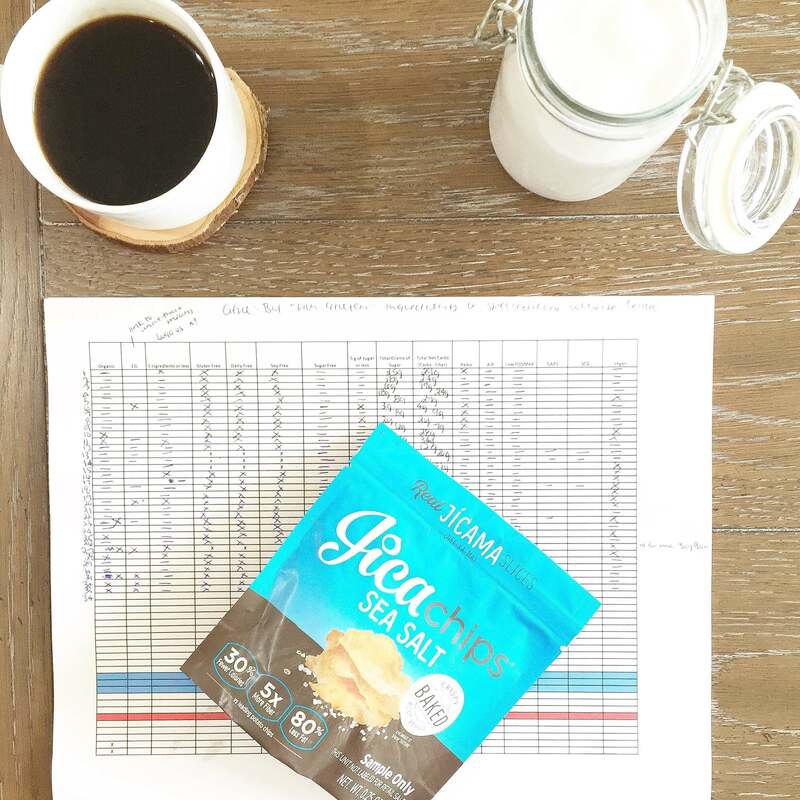 To view this guide on-the-go via a Google Docs spreadsheet to customize for your own, specific dietary needs, click HERE. JicaChips, Sea Salt. I tried these for the first time at Expo West 2016. Jicama is not Low-FODMAP, so I’ve had to be careful a little, however if you do not have to be Low-FODMAP, these are ah-ma-zing. They contain just three ingredients: baked jicama chips, olive oil, and sea salt. If you have this 8-pack you’ll be set for a road trip! Simples Squares, Coconut. For a sweet treat bar, ’bout as simple as they come. This bar contains Organic Cashews, Organic Almonds, Organic Honey, Organic Unsweetened Coconut, Organic Vanilla, and Sea Salt. According to my travel guide, they are: organic, certified gutsy, gluten free, dairy free, soy free, Paleo, GAPS, SCD, contain 10g of sugar and 13g of net carbs. Throw one in your pool bag, and enjoy the afternoon! Patagonia Provisions, Wild Sockeye Salmon, Original. 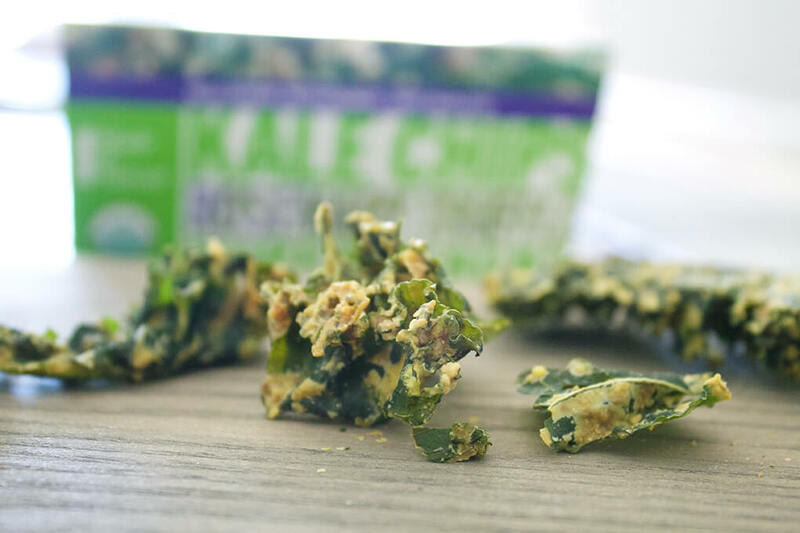 Here’s the deal, sometimes you need and/or want a snack that has more meal-like substance. I get it, trust me. (I need to eat like every 2. 3 hours. Full meals.) This salmon is perfect for that, and as a bonus, it goes perfectly with the Rosemary Truffle Kale Chips above. AIP Bread. 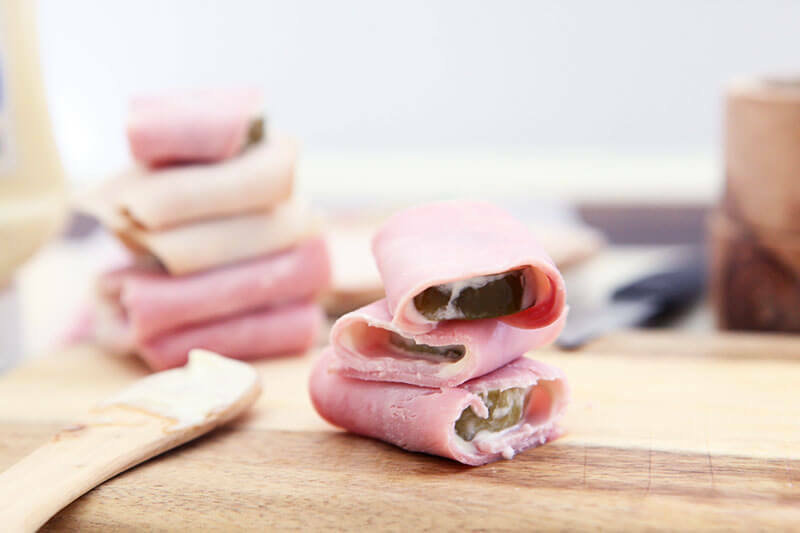 I realize this is a plug for a paid recipe of mine, but I’m telling you….this is, hands down, one of our favorite snacks that we enjoy at home and take with us on the road frequently. My AIP Bread recipe is one recipe with two different outcomes, depending on your mood. There is a sweet banana bread version and a starchy, more savory, version. 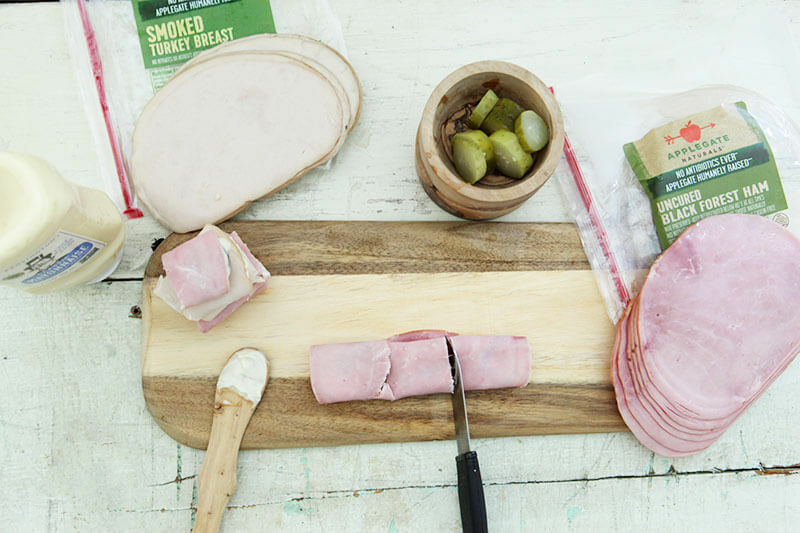 Take your pick, then eat it plain and/or pair it with anything you’d like. And yes, you could turn it into a salmon sandwich using the salmon from above. Mint Chocolate Popsicles. No top 10 summer snack ideas list would be complete without ice cream because summer demands cool treats. 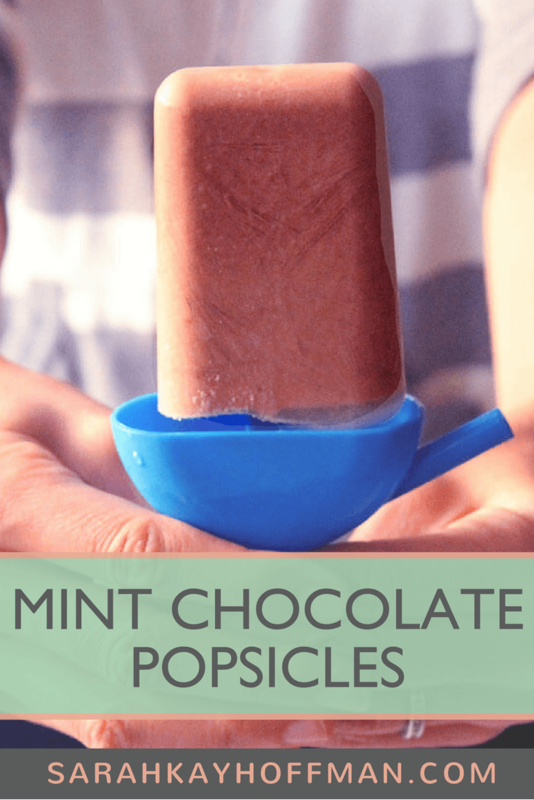 This Mint Chocolate Popsicles recipe was taken from my summer eats, treats and desserts e-book (which is also filled with summer snacking ideas). Listen, no one has ever been able to deny ice cream on a hot, summer day. 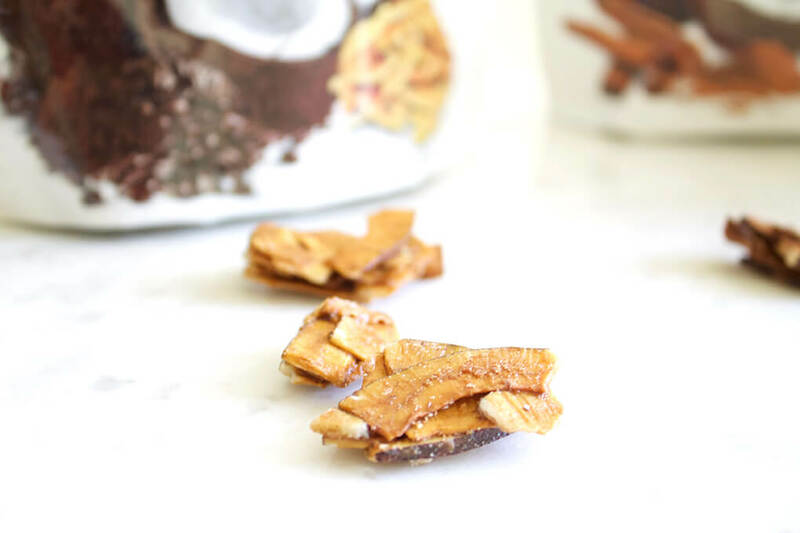 Even if you need to be dairy-free, this recipe has got you covered! Smoothies. Morning, noon or night, a smoothie will always be a good summer snack idea. I have made countless smoothie recipes over the years. Take your pick from some favorites: 3 Healthy Smoothie Recipes and 7 Days of Smoothies Challenge. Homemade Trail Mix for Kids. Were you able to catch my post on this yesterday? If not, click HERE to check it out or here’s the video that was included in the post. 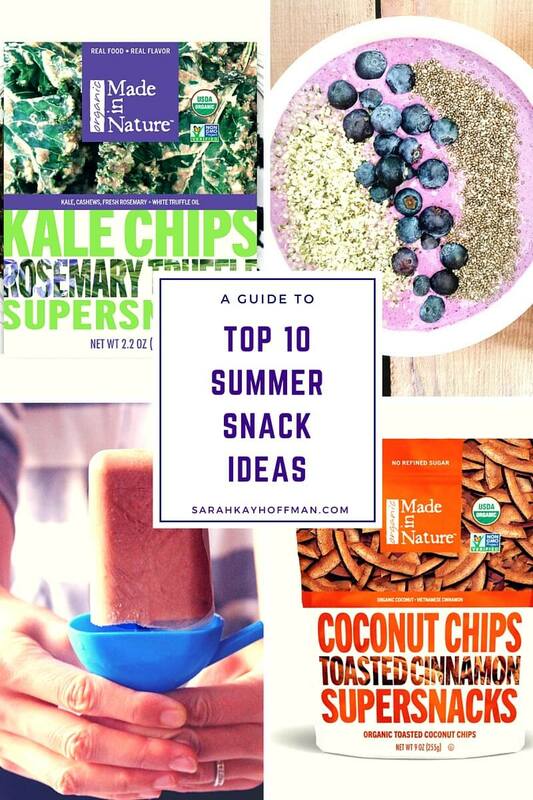 And there you have it….my top 10 summer snack ideas. Now go, play, enjoy, eat, live, munch, snack, love. Let’s be honest. No one has time for 106 degrees before summer even begins. But alas, it has come, and Samarah started demanding all the ice cream, especially in the form of my Mint Chocolate Popsicles. This recipe is from my summer eats, treats and desserts e-book, which hosts so many goodies for the hot summer months (and all year long). Click HERE to pin them to Pinterest for later. These popsicles are gluten free, grain free, dairy free, soy free, egg free, sugar-free plus Low-FODMAP and GAPS Diet approved. But really, who cares if they don’t taste good, right? Scouts honor. Kids and adults alike love them. Chocolate and mint without any additives or chemicals, sans-gluten and dairy....and, child approved. Place all ingredients in a blender and blend. 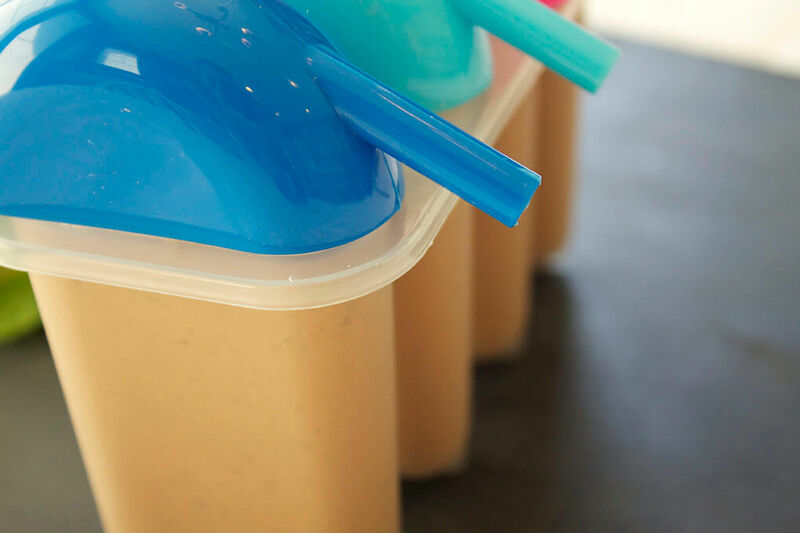 Pour mixture into BPA-free popsicle molds, and freeze. 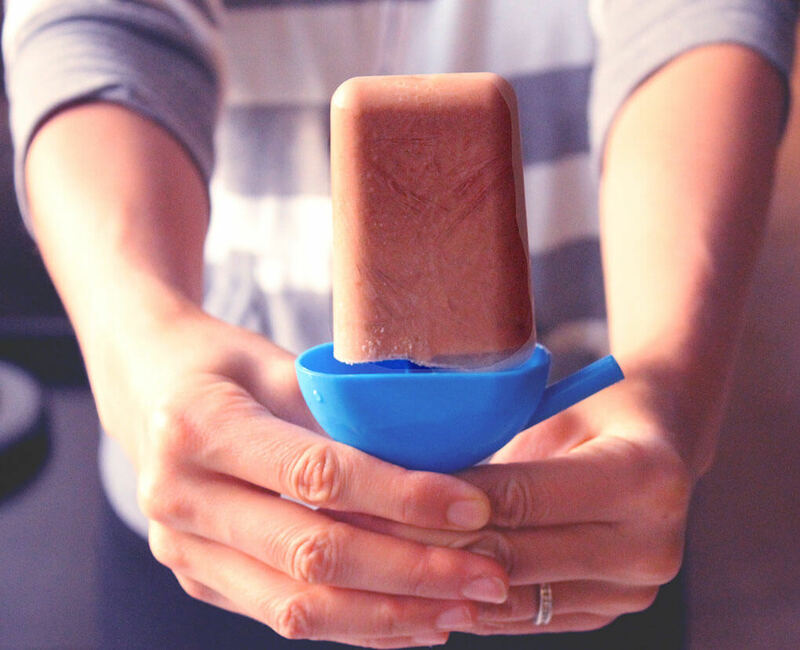 Need another amazing popsicle recipe? These Vegan Donut Peach Rice Pudding Pops will do the trick (for you and your teething baby)! 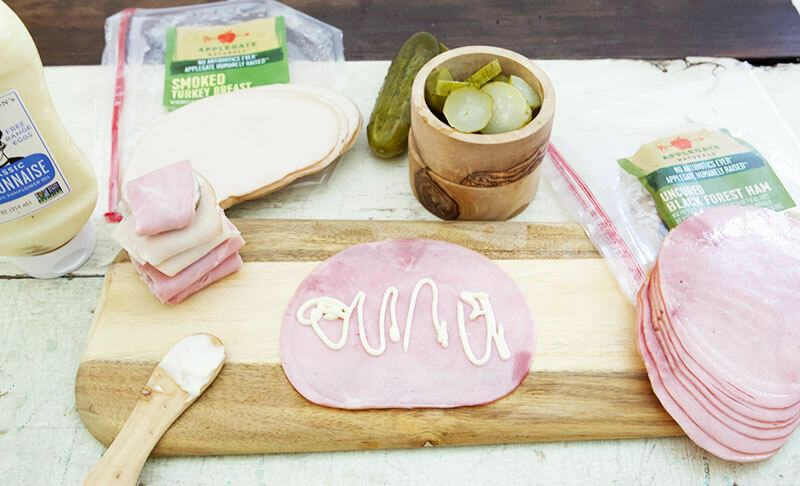 How about another kid-friendly snack idea? HERE you go!